Hide deals from seller "Taste of Asia"
Hide deals from category "Thai"
Limit 2 per person and 2 per table. Valid toward any menu items excluding appetizers and drinks. Not valid on delivery orders. Valid Monday-Thursday only. Promotional value expires 60 days after purchase. 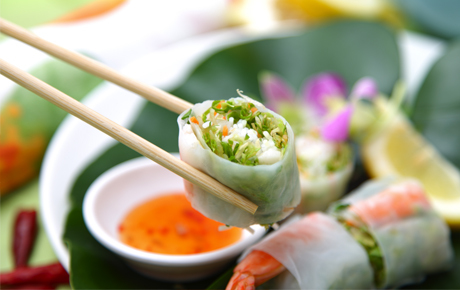 Tantalize your taste buds with this deal for 50% off Thai food from Taste of Asia in Lakeview East ($10 value). This popular restaurant serves fresh, authentic Thai dishes with expertise and friendly service. In business for 3 years, Taste of Asia has already established itself as a premier dining hotspot in Chicago. The owner has a passion for cooking and customer service, and the restaurant offers a variety of delicious options. Try entrees like shrimp peapod or sesame delight, or set your sights on one of the popular noodle dishes like pad thai. Taste of Asia also offers savory curry dishes and several types of tasty fried rice. Stop by Taste of Asia for a fantastic meal. A restaurant in Lakeview East offering fresh, authentic Thai cuisine.